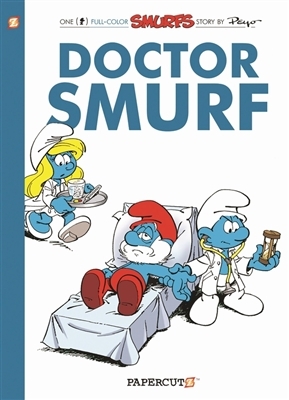 If you thought Obamacare was confusing, wait until you see the Smurfs tackle the medical profession! When one Smurf steps up as doctor he starts a fever-for more doctors! Soon, a hospital is built in the Smurf Village and it rapidly fills up with all sorts of wacky cases. But how much help are these new doctors actually giving their patients? As usual, only Papa Smurf can provide the remedy for the latest Smurfs craze. It's another classic Smurfs adventure from master cartoonist Peyo.